All men are created equal but some are more equal than others. The IQ Meritocracy: Intelligence, Social Structure, and Politics. National IQ Means, Transformed from PISA Scores. Galton, Francis: Hereditary Genius. London 1869, p. 195. 100 famous men (n = 43) of science (mathematics and natural sciences) have famous male relatives. Oden, M. H.: The fullfillment of promise: 40-year follow-up of the Terman gifted group. Genetical Psychology Monographs 77 (1968) 3-93. Brimhall, Dean, R.: Family resemblances among American men of science. The American Naturalist 56 (1922) 504-547; 57 (1923) 74-88, 137-152, and 326-344. Weiss, Volkmar: Mathematical giftedness and family relationship. European Journal for High Ability 5 (1994) 58-67. Highly gifted males (mean IQ 135 +/- 9) and their relatives in professions, typically associated with an IQ above 123. The Population Cycle Drives Human History - from a Eugenic Phase into a Dysgenic Phase and Collapse. Richard Lynn and Tatu Vanhanen: IQ and the Wealth of Nations. PISA 2006 data transformed into IQ: The PISA 2006 data (mean birth year of the subjects was 1991) on the mathematical scale are transformed into IQ in such a way that IQ 100 is the mean of the UK, the Netherlands and New Zealand (i.e. IQ 100 corresponds to a PISA score of 516). This seems to be a justified method of calibration because the mean IQ of the UK shows a downward trend, the IQ of the Netherlands seems to be nearly constant and New Zealand's trend is upward. The original mean of these three countries in the first book by Lynn and Vanhanen (2002) was IQ 100. Read the following data in this way: Finland IQ 97/101 (107/105), this means: Finland mean IQ given by Lynn and Vanhanen (2002) 97, by Rindermann (2007) 101 (from his adjusted value IQ 103 always subtracted 2, because the "Greenwich-IQ" of UK in his data is 102); PISA-IQ 2003 107, PISA IQ 2006 105. Compare: Rindermann, Heiner: The g-factor of international cognitive ability comparisons: the homogeneity of results in PISA, TIMSS, PIRLS and IQ-tests across nations. European Journal of Personality 21 (2007) 667-706. As shown by Rindermann, combining the scores of the mathematics, readings and science subtest of PISA makes no essential difference against using the mathematical subtest alone, because all subtests of PISA are heavily loaded with general cognitive ability. Transformed in such a way, relative to the mean of the means of UK, Netherlands and New Zealand,. including the reading and science scale into a compound makes no substantial difference. For example, in 2006 the mean of Germany on the reading scale is IQ 98, on the science scale IQ 99, on the mathematical scale IQ 98. Essentially, all three scales of PISA measure general intelligence. As I came to this insight in 2002, I submitted a paper to the relevant journals of the German Society of Psychology. The paper was not only rejected, but in such a dubious and offending way that, for the first time in such a case, I protested to the Executive Board of this Society. Of course in vain, and I left the Society with contempt at the end of 2002. As it seems, there were only three psychologists all over Germany who did not believe that my paper and claims were the product of an incorrigible crank. One of the three was Heiner Rindermann. In the following years he extended the basic idea. The data and quality of his extraordinary publications are a great satifisfaction for me. A comparing glance over the Lynn and Vanhanen, Rindermann und transformed PISA data shows a downward trend of IQ in many industrial countries, including France, Italy, Germany and the UK. Of course, in the comments of the officals of education and social policy such trends do not exist. Programme for International Student Assessment (PISA) scores are the test results of representative samples of 15-years olds. Because the IQ scores estimated by Lynn and Vanhanen have the IQ 100 of the United Kingdom as "Greenwich-IQ", the IQ transformed from PISA in 2003 could be up to three points too high. Moreover, from 2000 to 2003 all original PISA means show an increase of 3 PISA points because Turkey was included in 2003 in order to calculate the OECD mean, but not in 2000. God keep alive the simplemindedness of the ministries of education and the officials of PISA all over the world! In 2006, for the first time, they have provided us with representative IQ data of Romania and Kyrgyzystan, and we should be happy about this. If they would understand what they measure, this would mean the end of the PISA studies, I am afraid. In many countries the trend is clearly downwards. Comparing the second book by Lynn and Vanhanen: IQ and Global Inequality. Augusta, GA 2006, with the data sets by Rindermann (2007), we find 41 countries with IQ data sets with both mean birth years of subjects before and after 1960. Mean birth year of the subjects of the studies before 1960 was 1949, mean IQ 94. According to Rindermann (2007) the following generation in these 41 countries has a mean IQ of 92. - There remain some open questions of possible bias: For example, to what extent are the children of gypsies, many of them attending special schools, included in the sample of the Czech Republic? In most countries, the growing numbers of children attending special schools for the disabled and very low IQ subjects are not included into the PISA samples. that in social reality a threshold exists about IQ 105. From the major gene theory of IQ follows that the frequency m2 of the dull allele M2 is the square root of (1 - f), where f is your "smart fraction". The frequency of the bright allele m1 = (1 - m2). The smart fraction f follows from the Hardy-Weinberg-Law m1 power 2 + 2 m1 m2 + m2 power 2, where f = m1 power 2 + 2 m1m2. From your "Table of IQs, smart fractions and GDP" the national frequencies for M1 and M can easily be calculated. For the Congo the frequency of M1 is near zero, for Singapare near 0,20, which is my estimate for highly developed Eurasian populations. The power of a nation does not depend of its mere number, but of the number of its cognitive elite. This is the lesson learned from your data and a fact which I have never doubted. 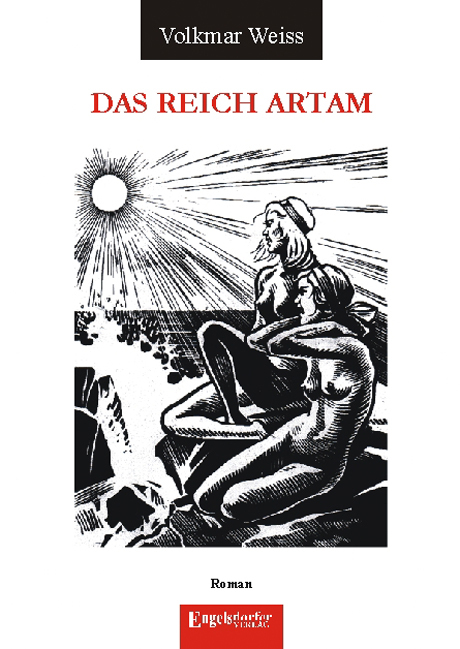 Mein neues Buch: Das Tausendjährige Reich Artam - Die alternative Geschichte der Deutschen 1941 - 2099. Cognitive decline as the result of third world immigration. Intelligence, Human Capital, and Economic Growth. Natural History of Ashkenazi Intelligence. Weiss, Volkmar: The advent of a molecular genetics of general intelligence. Intelligence 20 (1995) 115-124 (Editorial). (Americal Journal of Human Genetics 77 (2005) 118-126) A Genomwide Scan for Intelligence Trait Loci. The golden mean as clock cycle of brain waves. Formulas converting SAT to IQ scores. Charles Spearman: "General intelligence," objectively determined and measured.